Good people of the world wherever you are, this is one fixture that will stop the clock for a moment, skip heart beats and send tempers rising, this fixture will have a lot of goals in it as usual with a average of four scored per game between these two, in fact they scored 12 goals between them over two premier league games last season and it doesn't look like they won't again this term, ladies and gentlemen, this is the game of the season so far, 1st against second, both on same points after identical results, it's Liverpool at home against Manchester City. Liverpool had Daniel Sturridge to thank for his late screamer at Stamford Bridge last weekend with defeat starring at them, they left a lot of gaps against the Blues and should have been punished if Hazard had been more clinical, they should never try that against a more ruthless City; Liverpool have abundance of talents, so much squad depth but if their first choice center back pairing aren't available, can Matip and Lovren fill the void? 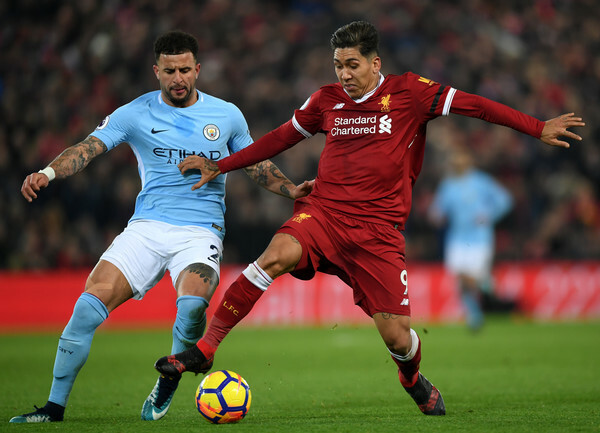 Can Moreno stand in adequately for Robertson? Is Mignolet a good back up for Allison? Let’s talk City shall we? They haven't been so good this season to be honest, the loss to Lyon exposed them, but they are still the team to beat. The brutality that characterized their game last season isn't there this term, they struggled to win at Hoffenheim in midweek with David Silva rising to the occasion late on, domestically they have been playing rather weak sides, you can't judge a team like City on results against the likes of Cardiff, Fulham or Huddersfield, this is a real test. Ironically, Liverpool always find a way to beat City even at their best, the comprehensive bashing in the champions league last season comes to mind, but remember... no two games are the same. Liverpool are without Naby keita who was hurled off on stretcher after injuring his back against Napoli in their UCL defeat in Naples, City are still without Kevin De Bruyne and it will be down to the available players to rise to the call.